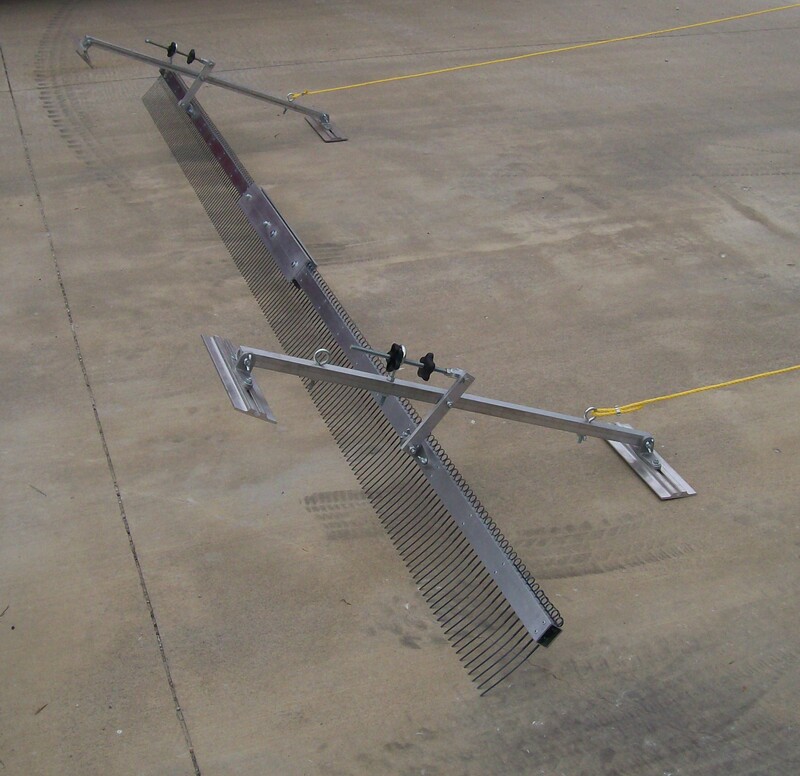 VERSATILE: Single broom design allows flat wire tine texture combs for use with this system. 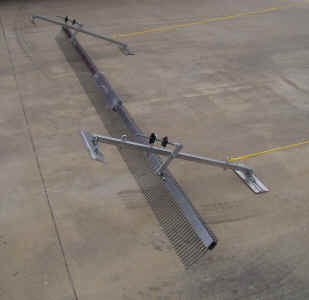 No double tracking as with rope pull systems employing two brooms! 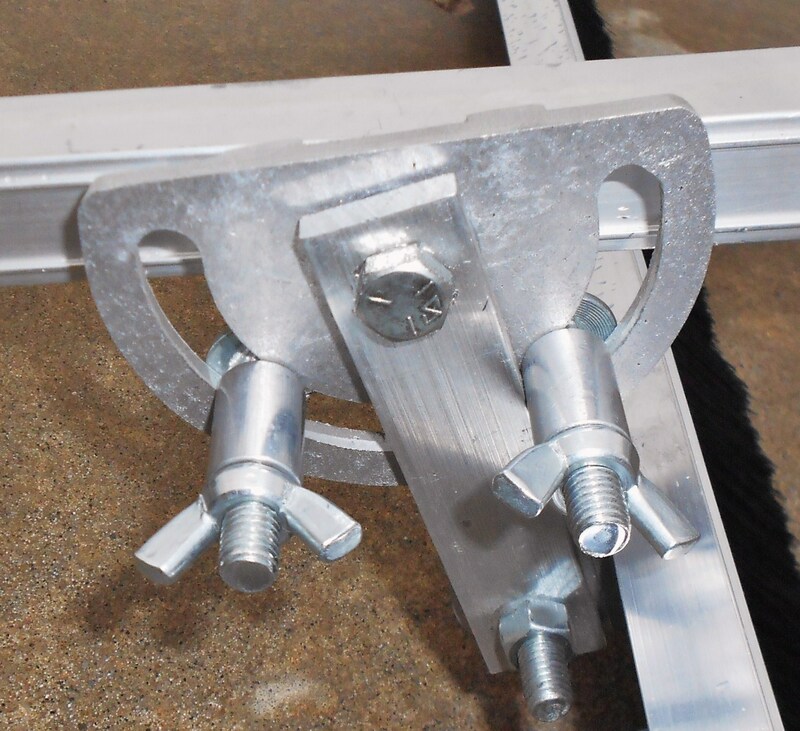 Also adaptable for use with all JOYCE aluminum head and wood block finishing brooms or other similar brooms with brackets on 4" centers. 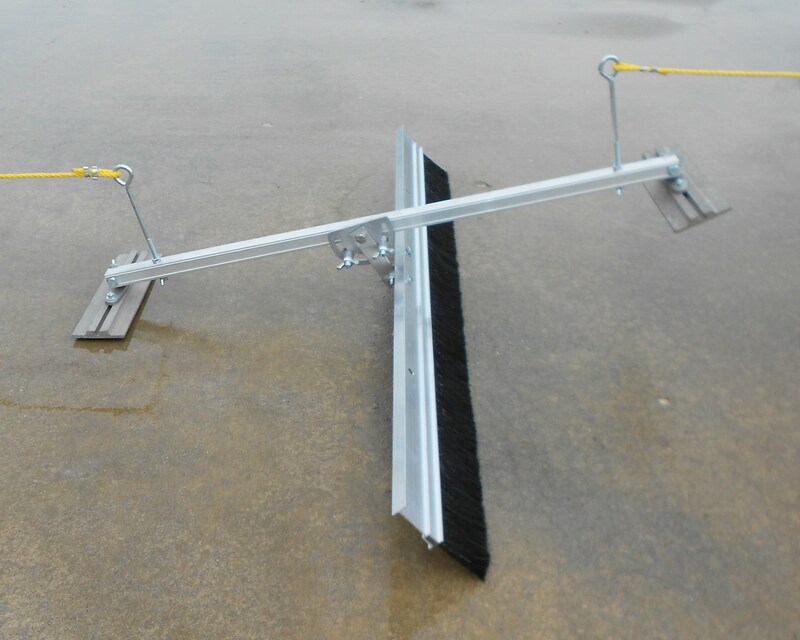 BROOM ANGLE ADJUSTMENT: Simple angle adjustment plate (see close-up below) limits broom angle in either direction. 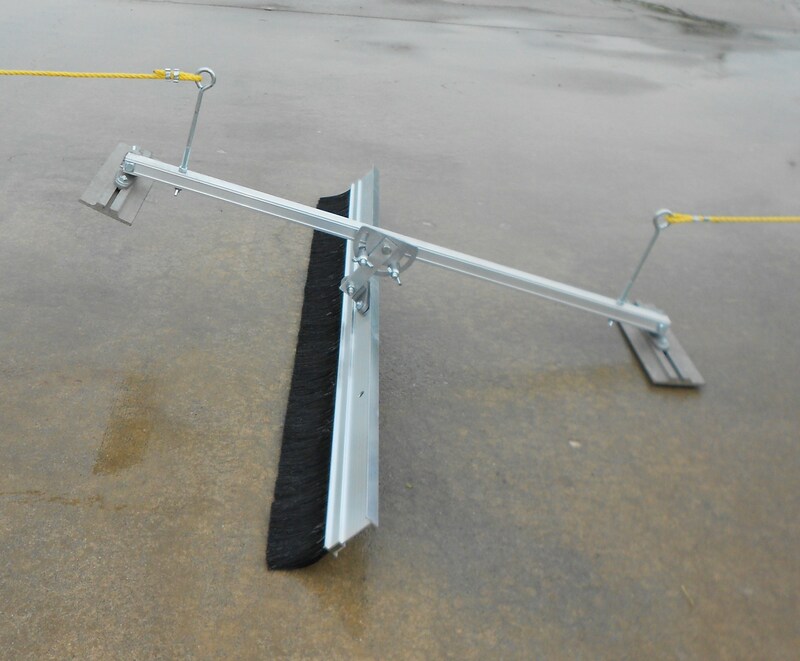 Makes it possible to quickly adjust and maintain the brushing tool to desired angle for job and conditions at hand! Adjust up to 45 degrees for use with texture combs. 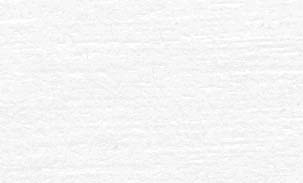 Perfect for jobs where obstructions prohibit use of a long handle. Comes fully assembled complete with two 40' lengths of rope. 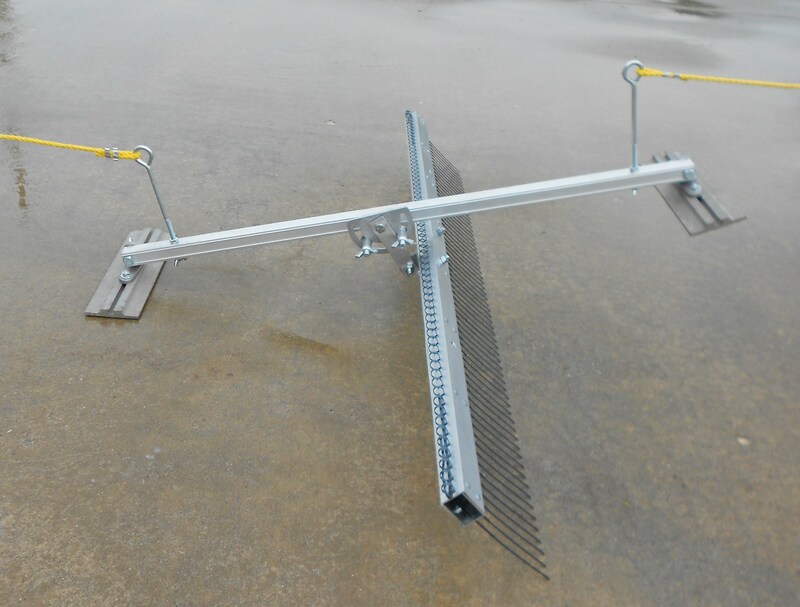 Just attach your broom or flat wire tine comb. 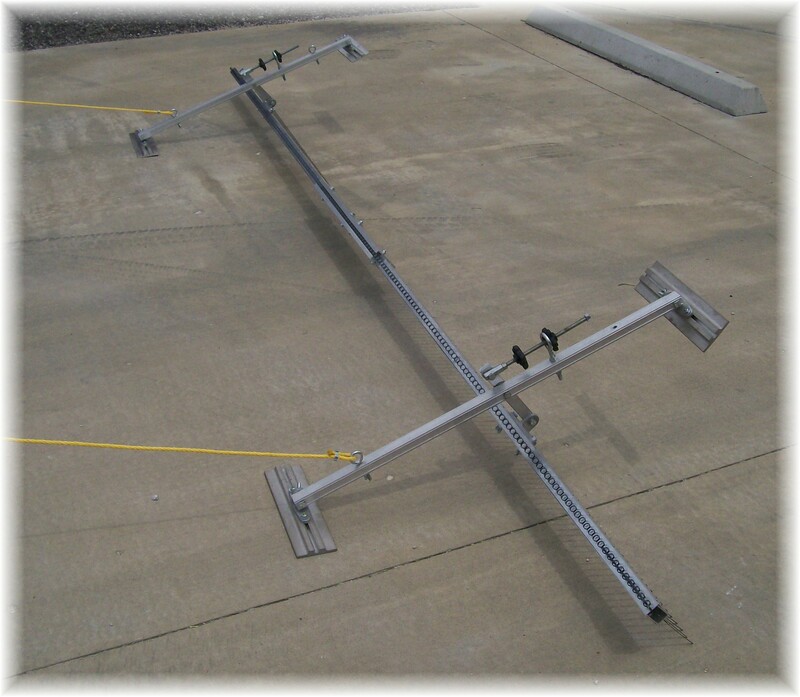 See the RopeRunner in Action!! 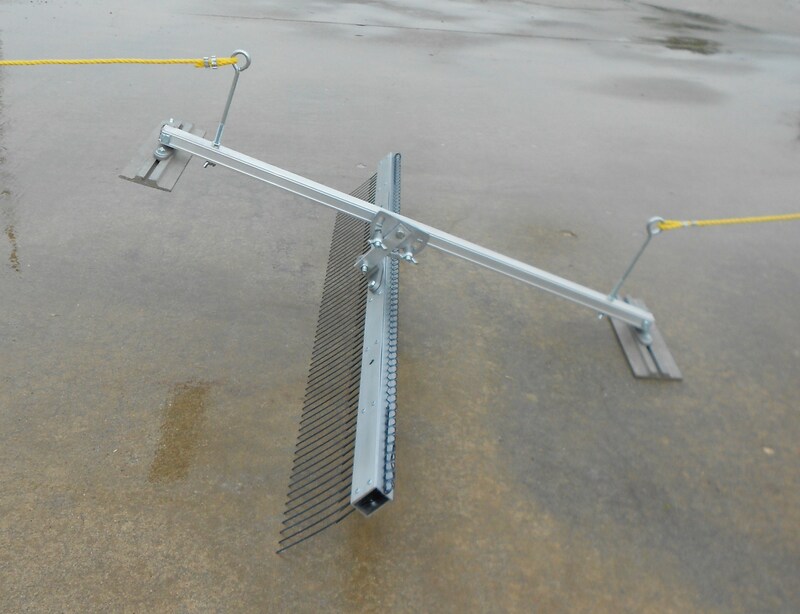 For an extra-long extended broom or texture comb, use two or more RopeRunners as shown below to provide support and to control broom or tining angle. 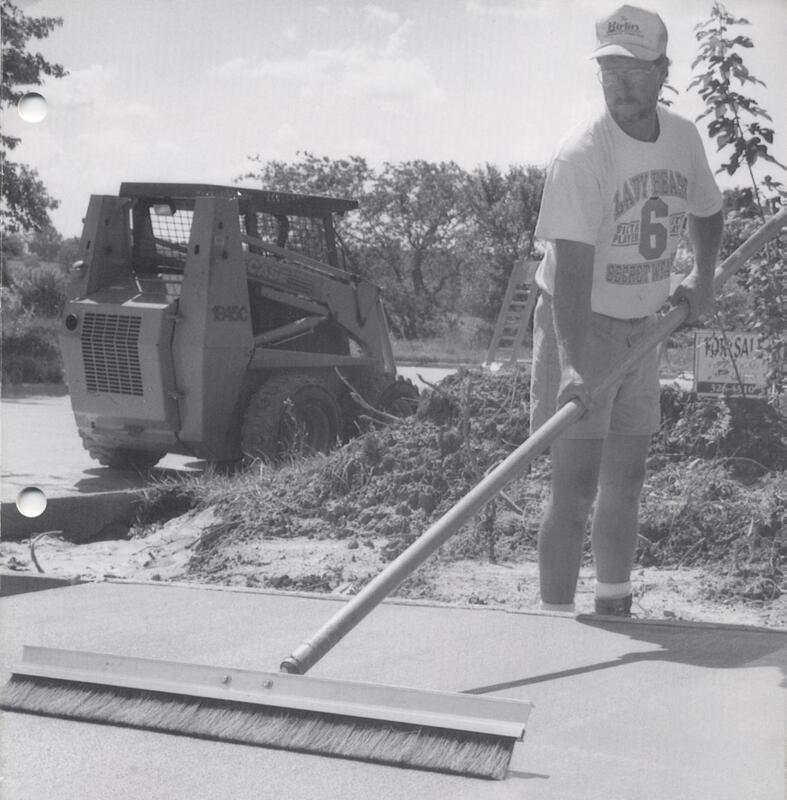 Pull behind a slipform paver or self-propelled texture/cure machine to drag broom finish or longitudinally tine an entire highway slab in one pass.